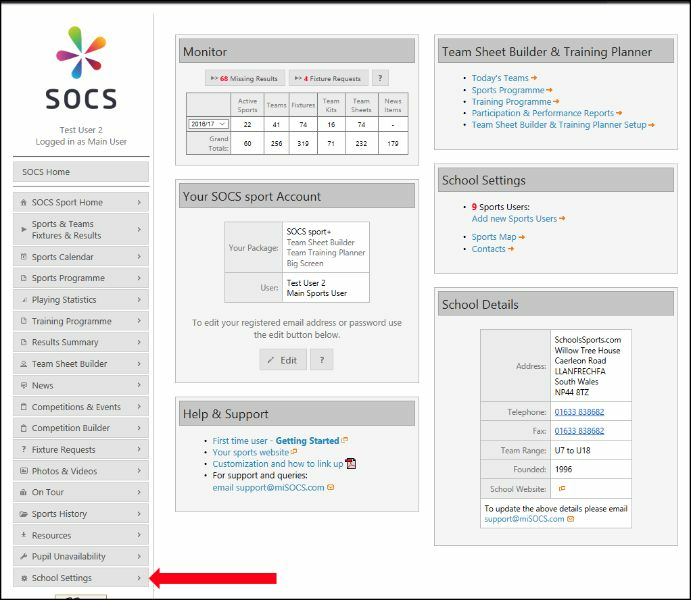 To change your password or registered email address, login to your SOCS control panel and select the School Settings > Sports Users menu option. 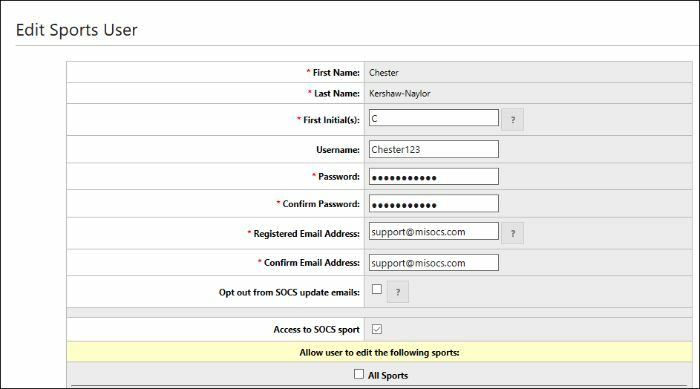 If you are the Main Sports User you will be able to edit all of your Sports User accounts. 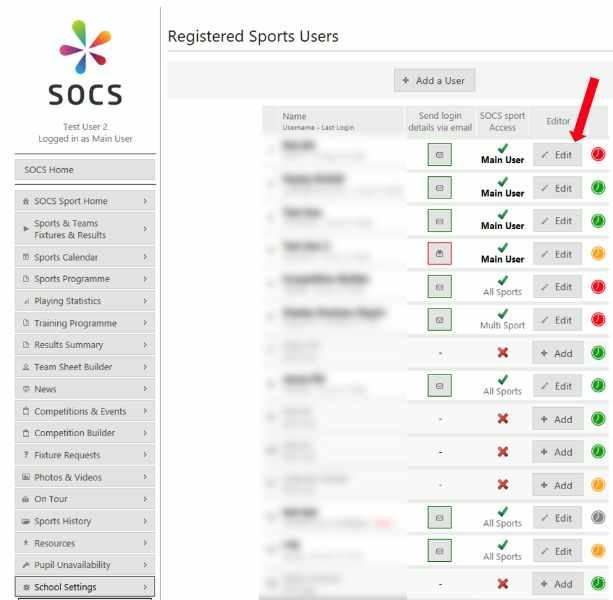 Main Sports Users also appear at the top of the Registered Sports Users list. If you are a Sports User then you can see all the Sports Users, but you can only edit your account. To do this click the Edit button. Make the changes to the password/email and then save.